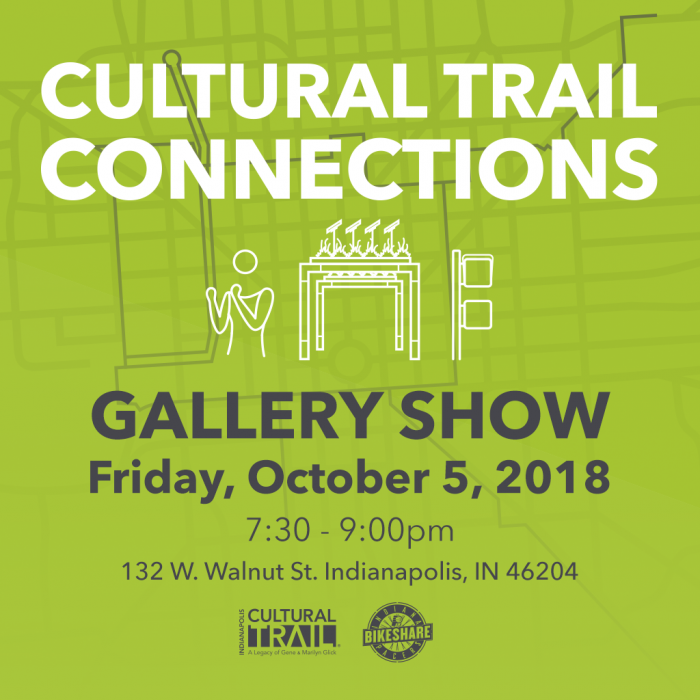 Join us, October 5th from 7-10pm for a gallery show of Cultural Trail art by local artists, designers, and illustrators. Bring your pocketbook as every piece of art will be available for you to take home! You can grab a cold Sun King brew and browse all the different interpretations of the Cultural Trail Public Art Collections pieces Ann Dancing, Prairie Modules, and Care/Don’t Care. All posters will be auctioned off at the event. Proceeds go to benefit the Indianapolis Cultural Trail and its mission to connect people and places through beautiful and dynamic experiences.